Together we are building a visionary community of like-minded users, creators, and owners of intelligent assistants. Individuals who seek to secure and own their personal assistants, communications, and data, who demand to be free of the large corporations and their agendas. We will never sell or share your personal data. (However, you are free to do so, if you wish.) 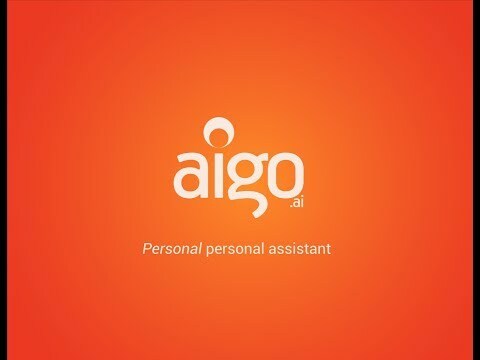 The first and core product within the AigoStore is the ‘Aigo ExoCortex’ itself, our revolutionary personal personal assistant: In addition to the ExoCortex units, the AigoStore will facilitate secure buying and selling of specialized skills, upgrades to existing assistants and of custom Aigos created by the API community. You could put a whole army of custom Aigos to work for you, renting their skills to others and earning while you sleep. Future enhancements of the AigoStore will include community guided, developer management, user reputation management, reward programs, auction facilities and enterprise solutions. Similar to the software in the late-nineties, AI is revolutionizing the consumer and enterprise markets as it becomes omnipresent. Eager to use this technology to enhance their personal and professional lives, people are turning to AI personal assistants. Unfortunately, today’s assistants such as Siri and Alexa are not very intelligent1. They don’t remember; they can’t hold meaningful, ongoing conversations; and they don’t have any common sense. This is quite frustrating, and severely limits their usefulness and adoption. What is worse, these limitations are inherent in their design and their maker’s philosophy. In fact, we don’t own or control these assistants (or our data2 ) at all. We are beholden to the interests of various mega-corporation. We are the product3. Our vision involves a community of individuals who truly own and control their own super-smart, conversational personal assistants (PAs), and their data.
. . . a world where my highly-capable personal assistant learns my preferences and knows my history (to the extent that I want it to!) Where my PA interacts and learns from my network of friends and family, communicates and deals with other companies, services, and devices, including home automation and IoT. As it learns, it becomes more capable. Something more like ‘Jarvis’ or ‘Her’, and less like ‘Dory’ (or Siri, Alexa, etc.) – My ExoCortex. We believe that your data is your personal property. We will not share or sell your data to anyone. We foresee a secure trading and development platform of intelligent assistants and skills, spawning a vibrant and productive community that uses, creates, owns, and trades intelligence for the benefit of all. An ecosystem unlike any other, that provides seamless integration of multiple skills while maintaining individual ownership and control – overcoming the fragmentation and lack of ‘stickiness’ of current platforms. Initial R&D of Aigo technology. of enhanced Aigo to public.